Before I made South Florida my home, I used to visit the area for Spring Break. 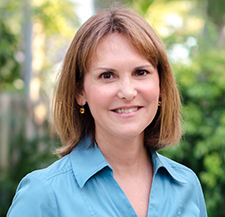 There were 24-hour car rides to Key West and slightly less painful 20-hour treks to South Florida. Aside from a lot of beer, hamburger joints and diners, we also sampled some not so traditional “college fare” like conch fritters, fish dip and this Citrusy Hearts of Palm Salad. 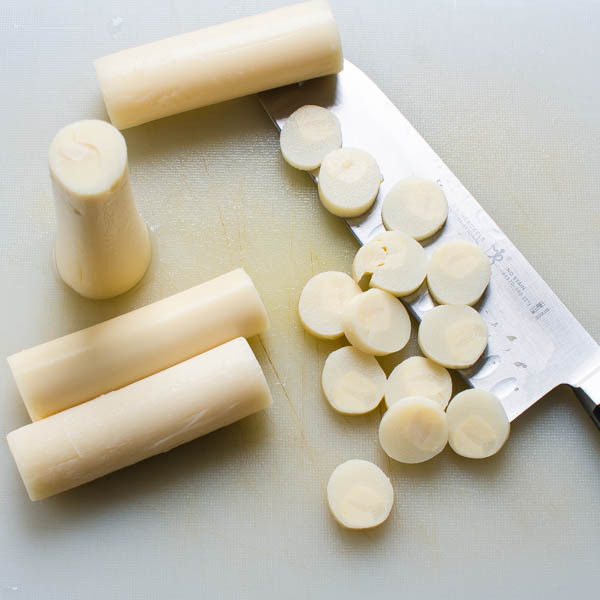 If you’ve never tried hearts of palm, it actually IS the heart of a palm tree. The harvesting process is laborious, so this creamy, mild vegetable is considered a delicacy, but it’s not priced as aggressively as caviar or truffles. In fact, it’s nowhere near that! My can was just over $3. 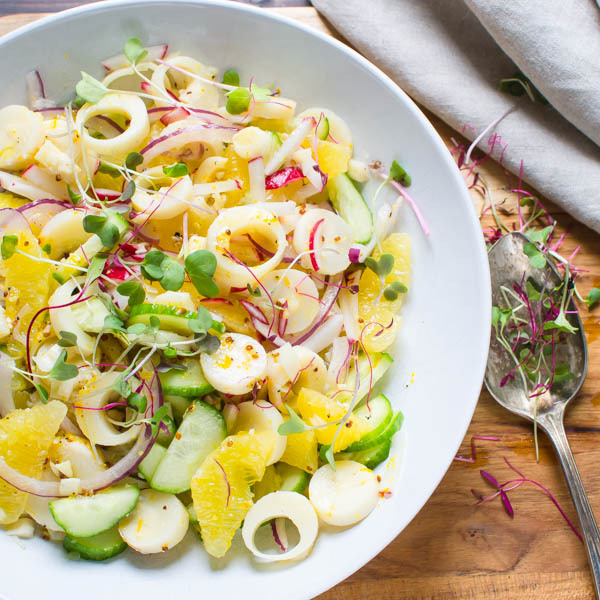 Since it’s such a mild, delicate flavor, hearts of palm work very well in salads. I like them with fresh orange segments to really amplify that tropical flavor. 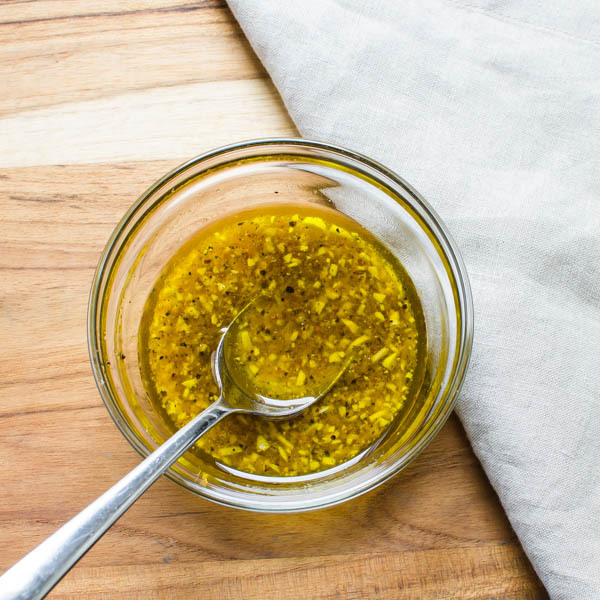 A simple orange-dijon vinaigrette ties the flavors together. 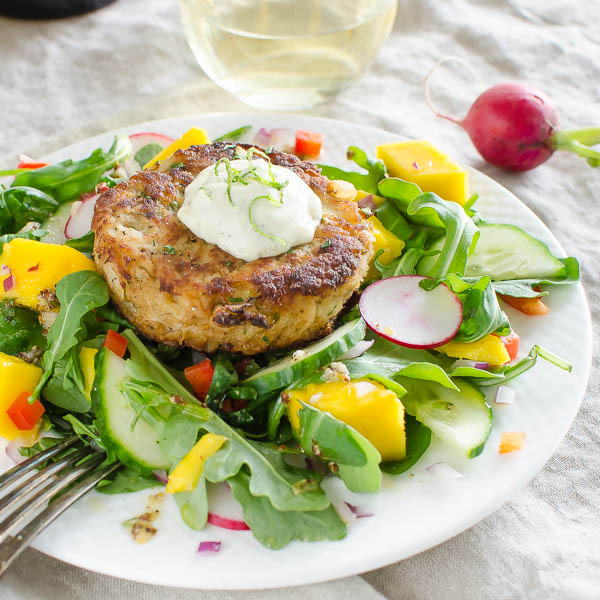 This makes enough for four generous appetizer-sized servings or you could top it with a crab cake or grilled shrimp for a light meal. More salads to try: Pear Pomegranate Salad, Tangy Frisee Lardons Salad. 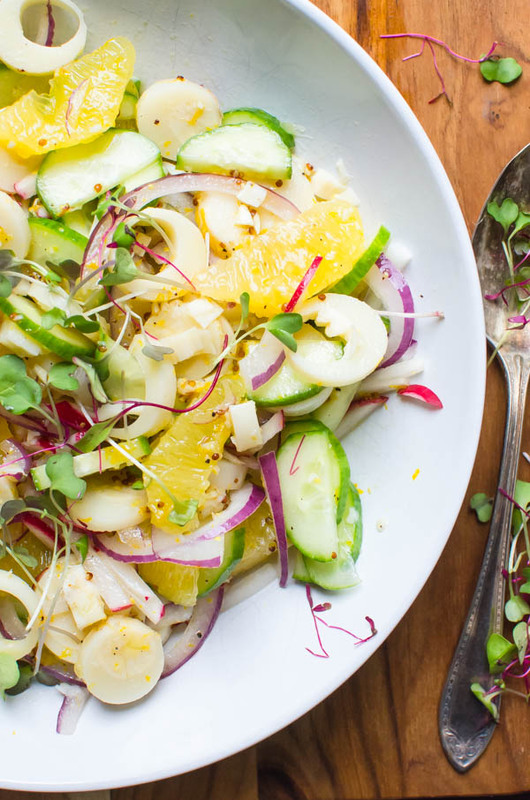 A bright salad with creamy hearts of palm, orange supremes and english cucumber with citrus honey dijon dressing. 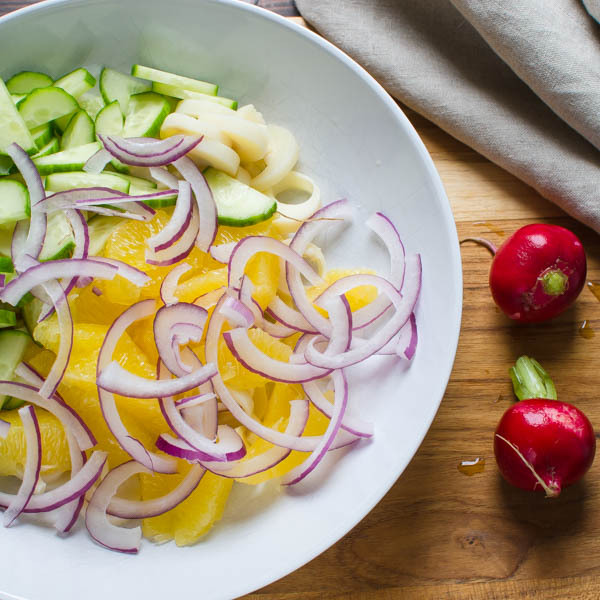 In a small bowl, combine all the ingredients for the dressing and whisk to combine. Set aside. 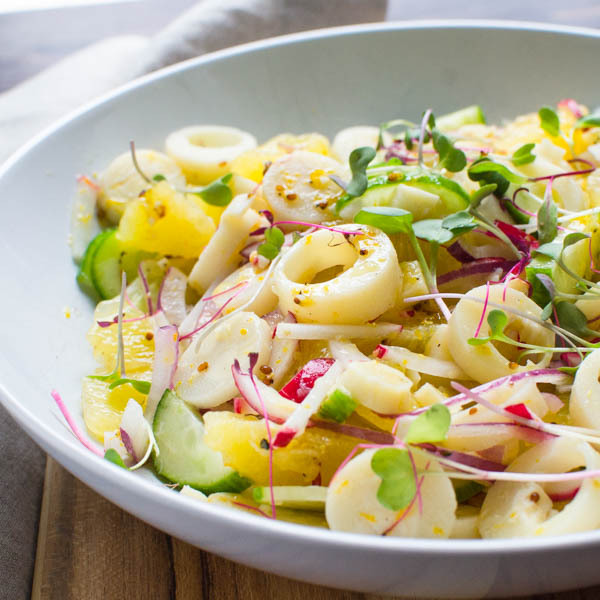 In a wide, shallow bowl combine the hearts of palm, orange supremes, cucumber, radishes and red onion. Add about 3 tablespoons of dressing and toss to combine. 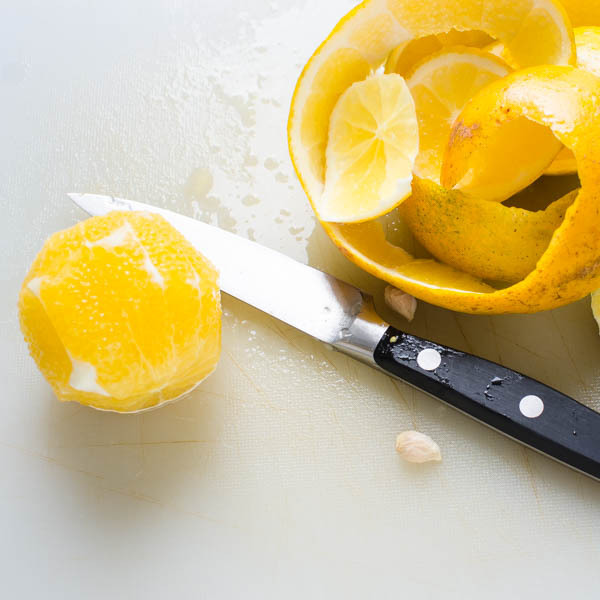 If the salad needs more dressing, add it one tablespoon at a time, but don't overdress. Sprinkle micro greens over the salad and serve. Have just done it and it was absolutely delicious. I added watercress and rocket to it as well. Superb recipe. Very tasty and refreshing. What a beautiful salad! I love all these flavors! 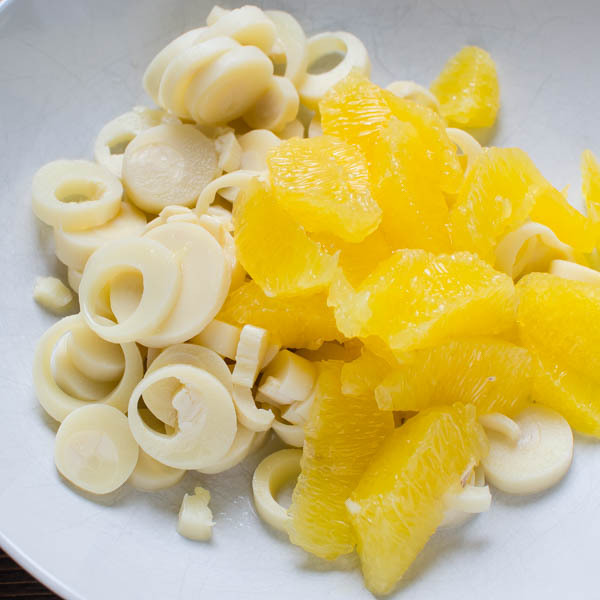 I’ve tried hearts of palm once I think on some vacation and I don’t really remember the taste. The way you describe it sounds really nice, mild and fresh. 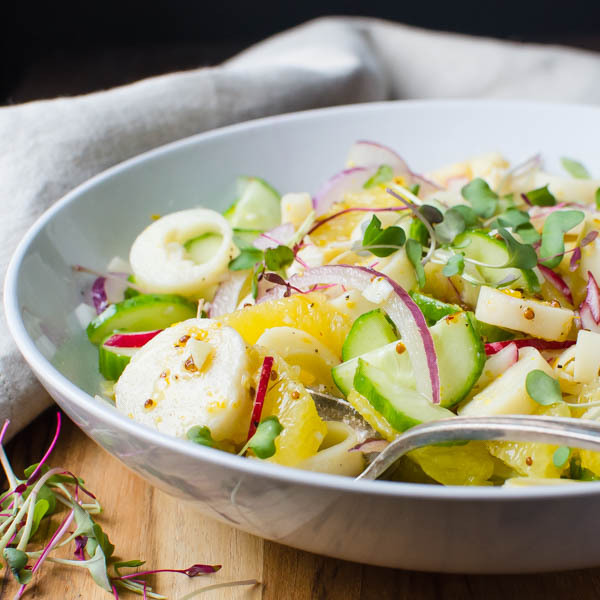 The salad looks so vibrant and bursting with flavour! This looks great! I haven’t tried heart of palms but the way you made it look, has tempted me want to try it. I love adding fruit to my salad especially oranges and strawberries. Hope you like it, Julia! 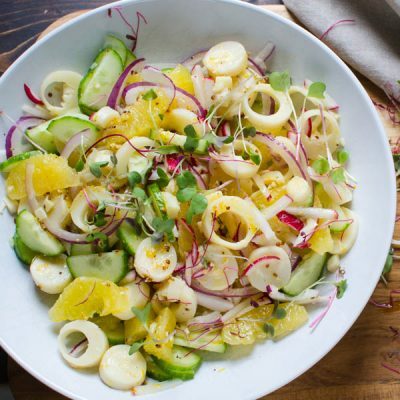 I have never tried hearts of palm before, but this salad is beautiful and has such gorgeous flavours! 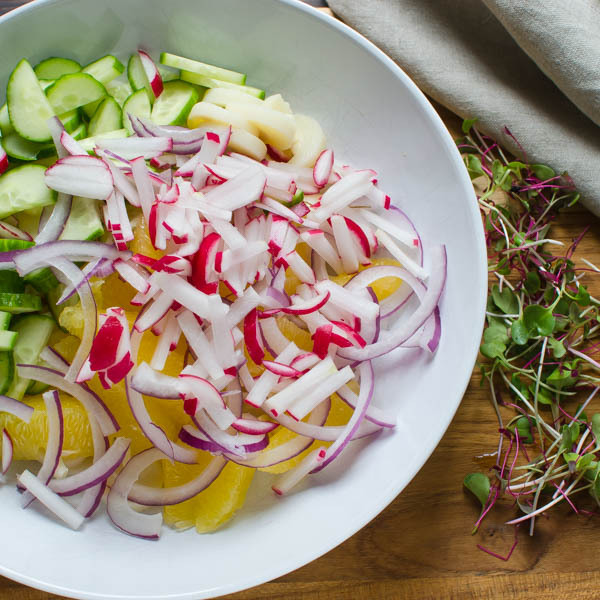 I’m obsessed with citurs salads, so I must try this!